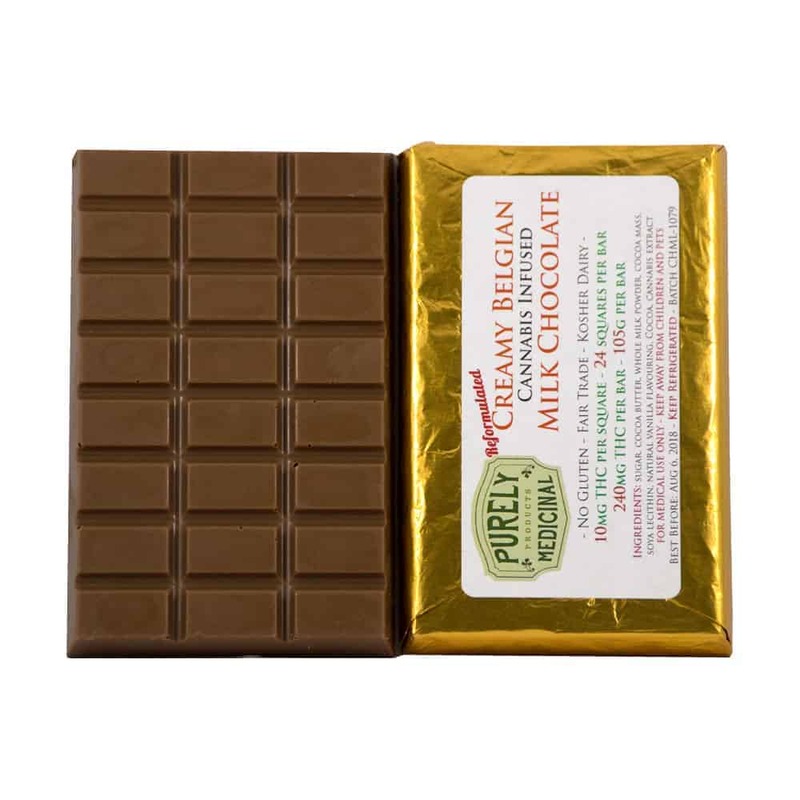 5 reviews for "Purely Medicinal – Cannabis Belgian Milk Chocolate Bar – 240mg THC"
Really enjoyed this. Once I determined how many pieces would give the desired result,, turned into a great way to relax before bed. Body buzz while still feeling in total control. Two pieces was good for me though others likely more or less depending on usage. I am not a big user so two is fine for me. One really helps me relax and sleep great! Milk chocolate taste with a bit of pot taste. Smell is strong so would recommend wrapping if you are sticking it in a drawer. First time having chocolate edible. It was delicious. 1 1/2 pieces was enough for me. Really relaxing but gave me the maddest munchies ever. I love this product ….. it’s great ! ordered more!